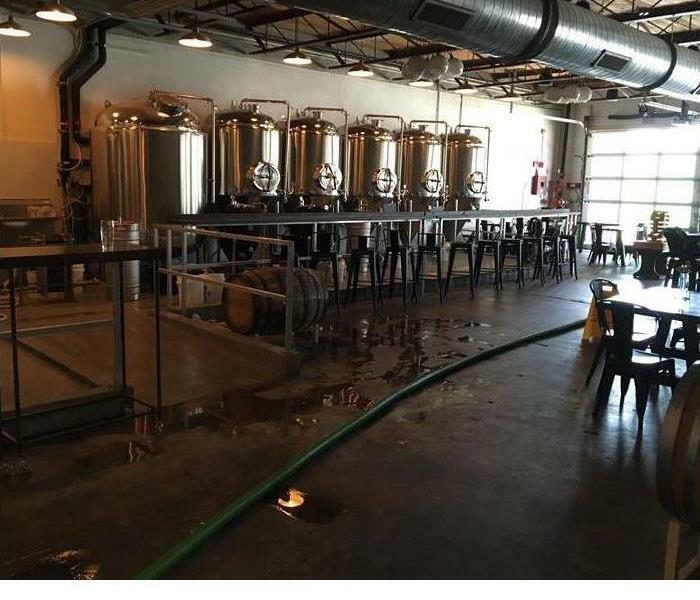 When this business was flooded we responded right away with our state-of-the-art equipment and experience and removed the water from the facility. When seasonal extreme weather events brew in the Gulf, heavy rains, winds, and storm surge are all possible in Pensacola. The mix of water, salt, sand, marine life, roadway and landscaping chemicals, sewage, and other contaminants means your commercial building can need professional containment and hazardous waste disposal services. Your regular cleaning crew is not up to this multifaceted set of tasks, but we are. Commercial flood damage in Pensacola requires that we pull out all the stops. If possible, it is best if we inventory, pack up and move out your electronics, furnishings, and documents. Our production facility is a safe and secure place for your portable business possessions, plus the technicians we assign to evaluate your packed-out items have specialized equipment and methodologies to clean and dry items you believed faced ruin. Our approach is flood damage restoration, not rip out and replace. This holds true for contents, too, saving you time and expense when we restore their appearance and function. Back at your business real estate, the SERVPRO team has dug in, often using shovels initially to reduce the amount of muck and silt that swept in with the surge. Flood waters are by definition Category 3 or black water, so we don personal protective gear (PPE) as we work to contain and then dispose of the contaminated fluid. We use pumps and extractors to clear the water rapidly. The force of the flood water can push it into cavities between walls and other difficult to reach spaces. Our technicians use thermal scanning and moisture reading devices to locate hidden water so it can be evacuated. We remove residues and soiling with professional cleaning products and cleaning tools matched to the Category of the water, and then dry out spaces with commercial air movers, heaters, and dehumidifiers. Wherever the dirty water touched receives treatment with an EPA-registered disinfectant to prevent contact with pathogens and inhibit mold damage. SERVPRO of West Pensacola uses its equipment and trained staff to your business’s advantage after flooding events. Call (850) 469-1160 day or night to get the process going. To discover more about the best view in town click here. Our crew works quickly to get your home back in order, so do not hesitate to contact us by dialing (850) 469-1160. When your Pensacola condo is in danger of flooding from local rivers rising this spring, it is good to be able to prepare your residence as much as possible before the waters reach you. Doing what you can ahead of time helps your home suffer less damage than if you did nothing, and it can make the aftermath of the floodwaters a lot easier to handle. No matter what, after flooding in your Pensacola condo has occurred, you need the professional help of a flood damage remediation company to help you restore your home as quickly as possible. At SERVPRO, we understand the direness of the situation and that the longer the water sits, the more damage is done, so we do not waste any time getting to you after you contact us. Your primary line of defense when you know the floodwaters are making their way to your residence is to use sandbags. Building a wall with these sacks can slow the water down enough so that it is more manageable. Old style sandbags work; however, they slow to fill and are heavy before they even get wet. There is a newer style that are pretty much flat bags filled with an absorbent material. Then, when wet, they sell up and present a barrier that is as good as the old-fashioned type. Upon arrival to your home, SERVPRO technicians assess the extent of the damage first. Since this is a case of flooding, we always wear protective gear to protect us from possible contaminants in the water such as sewage and chemical runoff. We also have you and your family stay out of the home until we can finish restoring it so that we keep you safe. Truck-mounted pumps, industrial-sized fans, and dehumidifiers help us to remove the water from your condo and make it like nothing ever happened. It is a good idea to purchase sandbags before you need them and store them in your garage in a high and dry location. The newer kinds are easy to store, as they do not take up much space until they are activated. For protecting a garage door or low entrance door, the sandbags are good to have on hand. The biggest problem with these newer bags is that they are not reusable. SERVPRO of West Pensacola wants to help you after a flood affects your condo in Sanders Beach, Goulding or Warrington. Our crew works quickly to get your home back in order, so do not hesitate to contact us by dialing (850) 469-1160. Click here for more about Pensacola. Our certified team is always ready to take on any damage big or small to your home. We have the right equipment to make your home livable again. Why is SERVPRO Your Biggest Ally When There is Water Damage to Your Home in Pensacola? As the summer months come upon us, homeowners need to be ready to face the elements. We usually focus on trimming any branches that might pose a threat to our roof or powerlines as well as stocking up on hurricane supplies which we hope we will never use. However, we often fail to prepare for smaller emergencies such as water damage caused by a leaky faucet or a broken water heater. These events can also disrupt our home and require the help of a professional team to be resolved. When there is water damage to your home in Pensacola SERVPRO is the best resource at your disposal. Our team is available 24/7 and ready to arrive at your home for immediate action. Contrary to what is portrayed in media outlets, restoration of water damage should not be a do-it-yourself project. 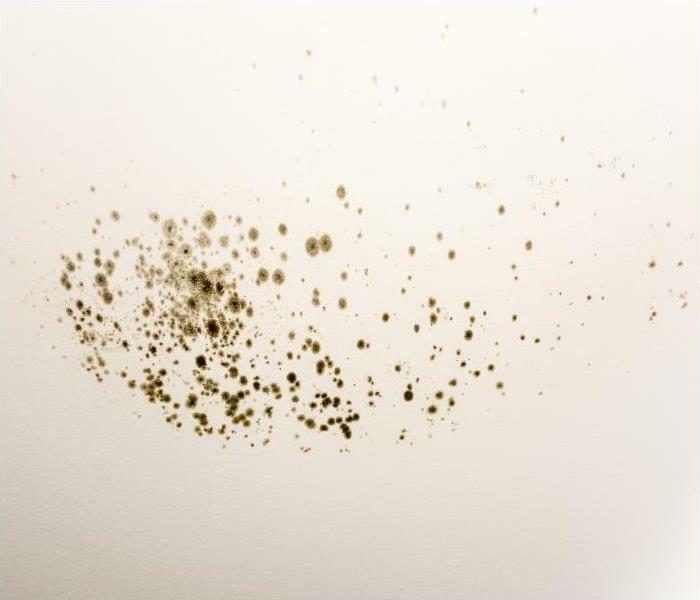 The consequences of not drying your home correctly and leaving water deposits can be long-lasting which is why the process is better left to a professional team. Our SERVPRO technicians are IICRC-certified to handle water damage and know the best practices in the industry to tackle your needs. By using moisture meters and infrared technology, we can detect areas where water deposits exist, even if they are invisible to the naked eye. By thoroughly extracting water with submersible pumps and handheld devices, we set the stage for our air handlers and air movers to expedite the drying process. Aside from returning your home to normal, by being thorough, we prevent the proliferation of bacteria and the possibility of mold in the future. 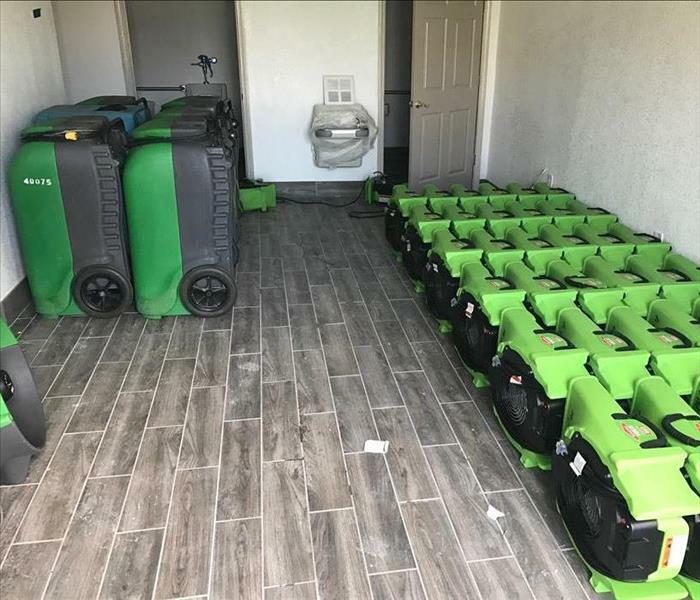 The training and expertise of our Green Fleet are valuable not only for the work we do today but for anticipating complications you could have as a result of the water damage. In Pensacola SERVPRO of West Pensacola is your best ally when you encounter water damage in your home. Just reach out to us at (850) 469-1160 and let us leave your home "Like it never even happened." Visit the Palafox Market click here for more information. 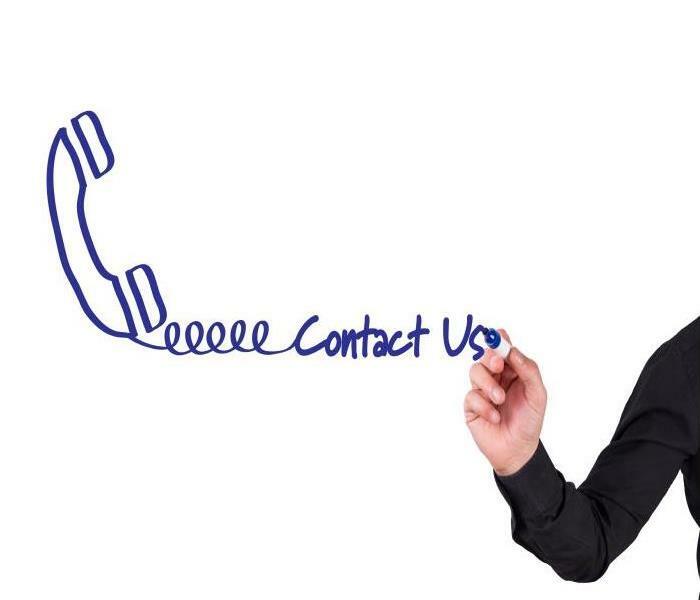 Give us a call at (850) 469-1160. There is no mistaking the devastation that could occur when a fire starts in your Goulding home. Fires can spread quickly from the initial combustion site to affect many areas of your property, damaging structural elements and spreading debilitating effects like soot and smoke residue on surfaces, furniture, and contents throughout your house. Once the flames have gotten extinguished, you should be looking for immediate assistance from trained professionals like our team. There are several potential hurdles to overcome in restoring fire damage to your Goulding property. From the pressing structural concerns to the overwhelming effects that can get found throughout your home, you need professionals with the experience and equipment to work quickly to return your residence to preloss conditions. Our SERVPRO team has a 24-hour response to emergencies, offering comprehensive solutions from the initial inspection through the needed reconstruction and finished outcome. Mitigation hinges on effective pack-out services and fire debris removal to occur immediately. Our technicians work to assess the full scope of the damage to determine which areas of your home must get torn out and later reconstructed. Our professionals utilize controlled demolition techniques overseen by our contracting team to ensure that the construction phase of the restoration to follow mitigation can happen immediately to get you back into your home quickly. Secondary effects are also a component that our SERVPRO team must address through the early stages of mitigation. Often firefighting efforts themselves can cause damages to the structural integrity of your home and can also spread substantial water damage from extinguishing. We can approach this situation as we would other water loss incidents, working to preserve materials that can get saved and removing the lingering moisture and saturation to limit the possibilities of damaging situations like mold growth. Many hurdles can stand between your fire-damaged home and its return to preloss conditions. You can depend on our skilled SERVPRO of West Pensacola fire restoration technicians to work tirelessly to get you back into your home after a fire disaster. 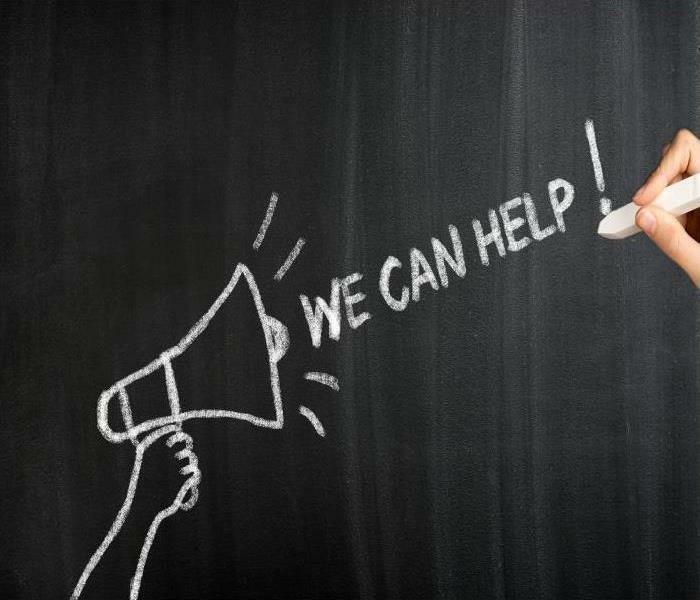 Give us a call at (850) 469-1160. Click here for more about Goulding. Each vehicle in our Green Fleet is loaded with equipment to remove water from your home- day or night. If a severe thunderstorm strikes the Pensacola region, flooding is likely to occur. Once water gets deep outside your home, it is wise to call in a professional flood damage mitigation company such as SERVPRO. When water starts to build up on the streets of your neighborhood and in your yard, entry into your home is likely. Water can sometimes saturate through your walls or come in from the ground. When it enters from the floor, the moisture can cause extensive flood damage to your flooring materials. Once your carpets or other flooring materials get saturated, moisture can start to wick its way up your walls. When dealing with flood damage in Pensacola, our SERVPRO technicians test your drywall and other building materials for moisture content. We determine how wet your building materials are by testing levels in both areas that were affected and regions that were not. By testing materials that did not get affected by moisture, we determine our target levels for drying. We know that if your drywall gets wet, then there is a chance that the studs and exterior walls inside the wall cavity also got affected. If there is moisture inside your wall cavity, then it is possible that your structural components can get damaged. When drying out wall cavities, we usually utilize one of two methods or at times a combination of the two. If your walls get saturated then, we can cut the drywall a foot or two up from the floor so that we can push air into your wall cavities. If the moisture content inside your walls is not extremely high, then we can utilize an injection drying system. Injection dryers consist of a fan with a series of tubes running from them. We drill holes into your walls and insert the tubes so that the fan pushes air into the cavity. Once moisture levels return to normal, we patch all of the holes in your drywall. If you ever notice wet building materials after a flood, call SERVPRO of West Pensacola at (850) 469-1160 24/7. Read about the city of Pensacola here. Water Damage is Never A Challenge For Our SERVPRO Technicians! Our team is here for you when a water disaster strikes. Water is the standard cleaning solution in almost every situation. However, just like its positive utilities, it can cause a wide range of problems if it spills into unwanted areas of your home. Stains, loss of structural integrity in different materials, and microbial growth are just a few examples. To restore your home to preloss state, you have to address all the issues. 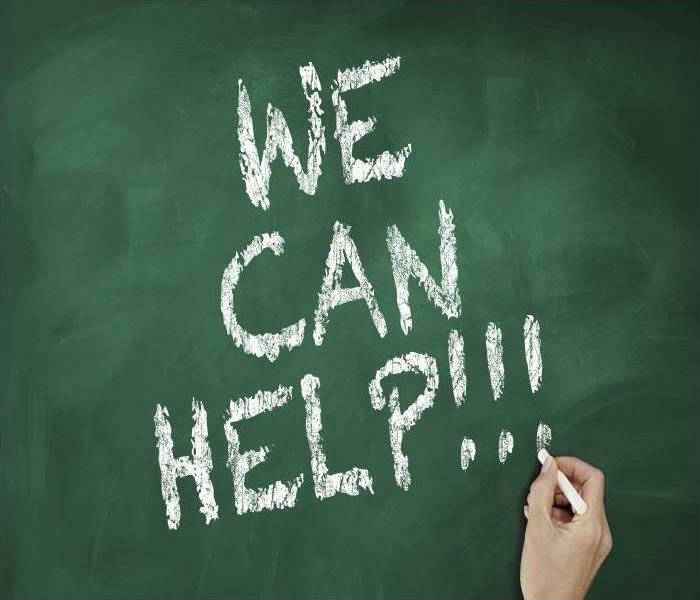 We offer Pensacola homeowners an integrated solution that deals with the problem "Like it never even happened." After an incident of water damage in Pensacola, most of the water remains visible, pooling on the floor and other surfaces, while the rest soaks into fabrics and other porous materials. However, a certain percentage migrates beyond the visible areas. Restoration can only be thorough if all the water in concealed areas is traced and dried. Our SERVPRO technicians use advanced gadgets to do this. We have FLIR thermal cameras that identify wet and warm areas even if concealed behind a wall. We also have moisture sensors and meters with probes that penetrate materials establishing whether there is excess moisture beneath the dry surface. Stains form easily if dyes in fabrics run after exposure to water affecting other fabrics, upholstery, and carpets. Stains can also develop from rusting metals, microbial growth which forms black or white patches on fabrics or seepage of resins and finishes from wood. Most cases of staining happen if restoration efforts take too long to start. Our SERVPRO technicians work fast to prevent this. For example, we remove items like area rugs, books, and draperies lying on the carpet to avoid staining. We also work on any existing stains before drying carpets to prevent setting. Removing all the standing water from a house is an integral part of the restoration. Such removal should happen fast because, within 24-48 hours after the spill, mold starts developing. 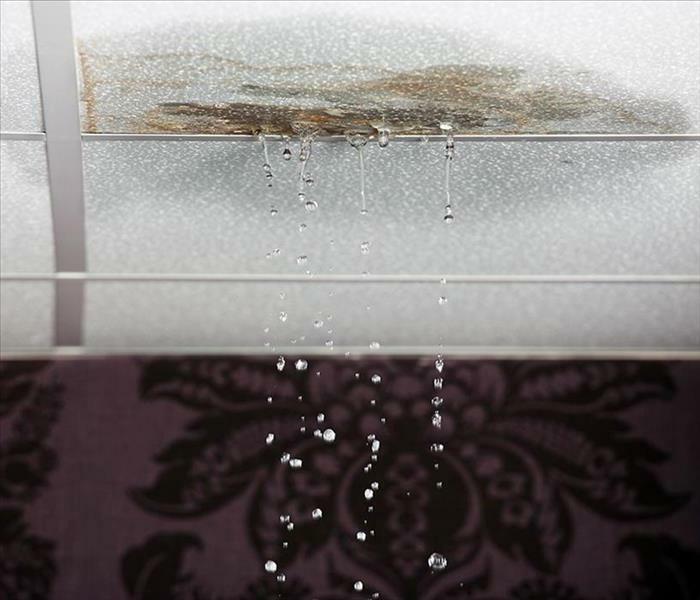 Apart from removing water, there is a need to lower the relative humidity because levels above 60% can lead to mold growth even all the water is extracted. Our SERVPRO technicians use high capacity water extractors that can remove up to 36,000 gallons of water per day. We also have desiccant and refrigerant dehumidifiers that help expedite drying. You can deal with water loss easily with help from SERVPRO of West Pensacola. Call us at (850) 469-1160 for any water-related problems. We're Faster To Any Size Disaster. Fore more on Pensacola, click here. During a flood, Pensacola neighborhoods become murky places where sidewalks disappear, and safe areas become dangerous. 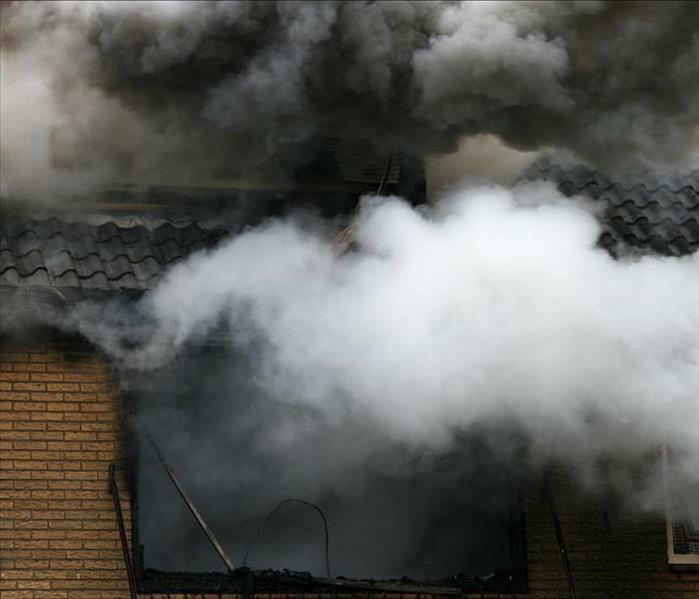 Gas lines become weak and can cause explosions. Water lines also become stressed wherever they have exposed sections because of the force of the water flowing around them. Entire neighborhoods often lose power and protecting people in the area from electrocution is a crucial consideration. We want the residents of Pensacola to know why SERVPRO uses different types of equipment when mitigating flood damage in their homes. We use industry-leading devices that allow our work to flow more smoothly and concludes as soon as possible. We also work in teams to make our labor as efficient as possible as well as your insurance adjuster. When a home has crawlspaces, these also suffer during a flood. We use submersible pumps that quickly extract the water and a large amount of debris from these hidden spaces. We do this after we drain the water from the living areas above if any is present. While this sublevel might seem unimportant compared to the rest of your home, its condition can affect the rest of your home. We also use air scrubbers after we have removed drywall that came into contact with the floodwaters. These machines act like air vacuums that entrap any microbes that exist in the air. Keeping the microbe population low means your home's risk of infestations significantly decreases. We use infrared thermal imaging to detect hidden water in smaller incidents, but during flooding, we may save this step. Mapping out moisture areas helps establish drying goals as we compare them to unaffected areas of the structure. We know that cabinets and built-in countertops can trap water underneath them from when the floodwaters flowed above their bases, so we drain these areas. Small drill bits make holes small enough so that it is easy to cover them later. We use our Injectidry system to air the space out with warm air and treat it with an antimicrobial spray. 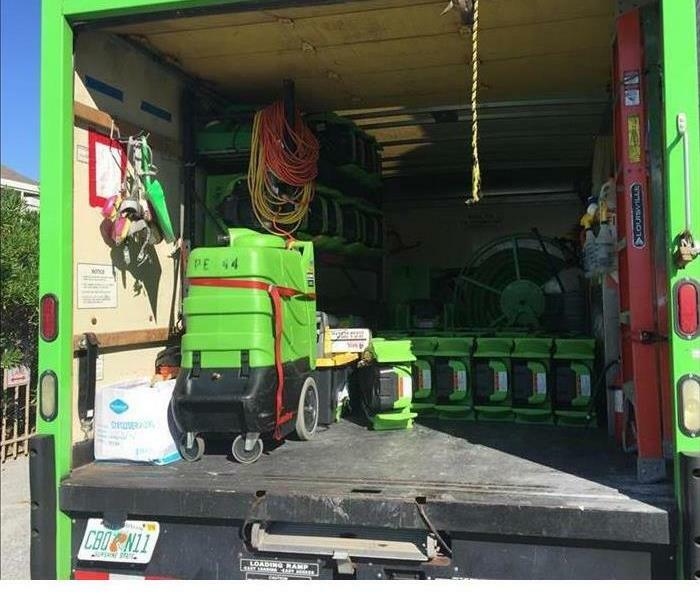 SERVPRO of West Pensacola wants to help you recover after a flooding event with the latest equipment and technology used in the mitigation of flood damage. Call (850) 469-1160 to contact us as early as possible after such a disaster to protect your Goulding or Sanders Beach home. We're Faster To Any Size Disaster. More about this great vacation destination by clicking. When It Comes To Professional Water Loss Mitigation In Goulding, You Can Depend On The Crew At SERVPRO! SERVPRO is always ready to serve your needs in cleaning up lost water and getting your home back to normal again. Any form of water loss that steadily soaks floors in your Goulding home for more than a few seconds should have you calling for a professional service. Businesses in the restoration field, like SERVPRO, have the tools needed to follow water wherever it goes, ensuring that all traces disappear through mitigation efforts. When a slipped water line causes lost water to drench your floors, you need a reliable service that performs water cleanup services in your Goulding home. Leaving trapped pockets of water behind can set your house up for water damage and infestations from microbes. We make sure through testing that your property is dry, “Like it never even happened.” before we consider our work done. When we test the first time after we arrive at your house, we begin a chart that stays with the project until completion. We list various materials inside your home and their moisture content. Some we compare to those on sheets listing acceptable amounts according to industry experts, while we compare others to similar, but unaffected, items within your home. We want to achieve normal dryness, without over-drying, as this not only saves money but it also prevents unnecessary damage to some materials that require slightly moist conditions to remain in good condition. Wooden floors and other natural elements in your home need some moisture, or they become brittle and can splinter or crack. We help your home achieve a natural balance that protects it from either extreme. Extracting any water still present helps get things underway and then air movers help speed up the evaporation of moisture held in materials throughout the area near the leak. Desiccant machines or dehumidifiers remove excess moisture from the air, slowly drying out your home. Keeping a steady pace keeps moisture from condensing elsewhere and being reabsorbed into other materials. SERVPRO of West Pensacola is always ready to serve your needs in cleaning up lost water and getting your home back to normal again. Residents in Warrington, Myrtle Grove, and Perdido Key can call us at (850) 469-1160 for water cleanup and other mitigation services year-round. SERVPRO of West Pensacola assists homeowners in cleaning up mold damage and preventing its regrowth. Any part of your property in Pensacola can experience damage that leads to deterioration. Greenhouses, sheds, pool houses, and gazebos all require maintenance to continue looking fresh and inviting. Safety also can become an issue when structures become weak. We use different remediation techniques approved by the IICRC and shown to provide effective, long-lasting results. One that we always perform involves removing the source of any moisture that allows microbes to flourish. Here are descriptions of some of the methods we might use to remediate mold and mildew from your property. Blasting, either with pellets made of dry ice or with sodium bicarbonate, removes mold and mildew from surfaces. We often use these methods in difficult to reach locations because it not only penetrates tight areas that can harbor dense colonies, but it is also easy to clean up afterward. Dry ice pellets safely evaporate into the air after killing the mold with its freezing temperature, and sodium bicarbonate also poses no risks to the environment, occupants, or any plants in the area. Either of these gives us excellent results for outdoor buildings and exterior walls, as well. Cutting away sections of wall that contains mold colonies lets us inspect the interior of the wall. When we fail to detect mold, we can treat it with a preventative spray so that mold never grows there. On the other hand, when we do find mold, we need to eliminate those areas. Negative pressure containment during the removal of moldy materials keeps everything contained from start to finish. We construct a chamber using clear but heavy gauge plastic sheeting, flexible tubing that we can cut to the exact length needed, and an air scrubber. We also use quite a bit of non-marking tape to obtain the seal we want. Negative pressure chambers like these eliminate mold and spores, as well as any dust, that end up suspended in the air by filtering them with the air scrubber and then pushing that air outside of your home through the tubing. SERVPRO of West Pensacola assists homeowners in cleaning up mold damage and preventing its regrowth. If your home is located in Goulding, Myrtle Grove, or surrounding areas, call our 24-hour service line at (850) 469-1160, year-round, for professional remediation services. 3/4/2019 - Water Damage is Never A Challenge For Our SERVPRO Technicians! 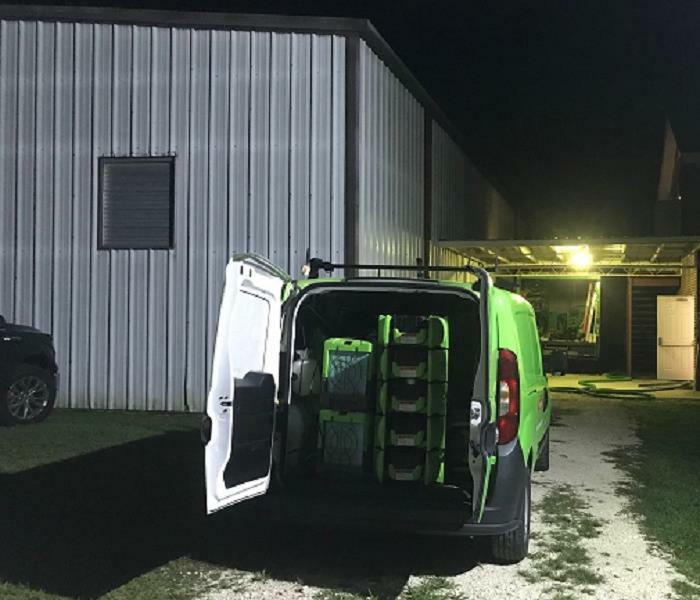 2/13/2019 - When It Comes To Professional Water Loss Mitigation In Goulding, You Can Depend On The Crew At SERVPRO!